With mowers already renowned for their cutting, catching and mulching performance, the Masport professional range of mowers are built exceptionally tough and designed to tackle commercial applications. Masport self-propelled mowers provide the perfect solution for homeowners, landscape professionals and lawnmower contractors alike. 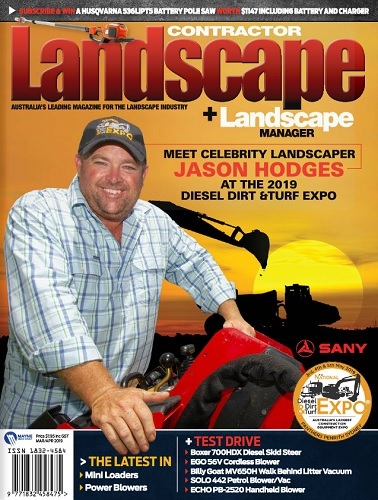 Masport contractor 3n’1 self-propelled mowers, powered by a choice of commercial grade Briggs & Stratton 850 Professional series engine, Kawasaki FJ180V engine or the all new Honda GX160 engine model are designed for all residential properties, small acreage, commercial and contractor use. The new Honda GX160 BBC Contractor 3’n1 self-propelled mower features Masport’s latest innovation, a Blade Brake Clutch (BBC) – a feature that allows you to disengage the rotation of the mower blades without the loss of drive or having to stop the engine. Especially handy when emptying the catcher, driving up a trailer, across gravel, paths or driveways or stopping to remove obstacles in your way. The 3-speed commercial transmission features an all metal, constant mesh, oil lubricated, cone clutch gearbox with precision bearings. It is designed for professional use and heavy-duty applications, providing the perfect speed-to-task ratio demanded by professional contractors. Manufactured in 2mm steel, the heavy-duty chassis is resilient and hard wearing against sandblasting wear, debris and hard impacts, providing durability and longevity. A high arch design and the large open rear chute, combined with Masport’s famous “Quadcut” 4 swing back blade cutting system, provides maximum airflow resulting in exceptional cutting, catching and mulching performance. Commercial grade die-cast aluminium 8” front and rear wheels are fitted with synthetic rubber tyres, which are extremely tough and designed to operate under commercial conditions. Each wheel is complemented by dual precision sealed bearings, making the mower easy to push and the wheels virtually maintenance free and very long lasting. The bolt-in heavy duty front axle and secured rear axle feature formed crank links and the 15mm diameter stub axles provide strength and durability against heavy knocks. The axles are linked by a heavy-duty connecting rod, which is combined with dual compensation springs, allowing the operator to adjust the height with absolute ease. Heavy gauge and large diameter reinforced upper and lower handles designed to withstand the heavy forces applied during commercial mowing, provide additional durability. A steel control lever with large diameter handle is more resilient to breakage and wear, providing greater longevity and ease of use. Three handle height positions have been provided for the comfort of the user, along with an ergonomic handle grip manufactured from extra durable soft grip to help alleviate operator fatigue. The handles are completed with an ergonomically positioned starter cord, eliminating the need to bend down and reducing the risk of back strain. A front bumper and engine guard provide protection to the chassis, front axle and engine from unnecessary damage. The bumper also provides a valuable lifting handle and tie down point to secure the mower during transport. The commercial grade steel rear flap provides strength and durability and helps secure the sturdy, large 80-litre Dacron catcher. This catcher provides superior airflow and catching performance, while a dust cover directs airflow downwards and away, reducing dust updraft for the operator. Included is a mulch plug that takes away the need to use the catcher, allowing the grass to be recycled by recutting the clippings and returning them to the lawn as mulch, helping to retain moisture and feeding the cut grass back to the lawn. With no catcher required for mulching, this means no time wasted emptying catchers or additional downtime with waste disposal and costs. 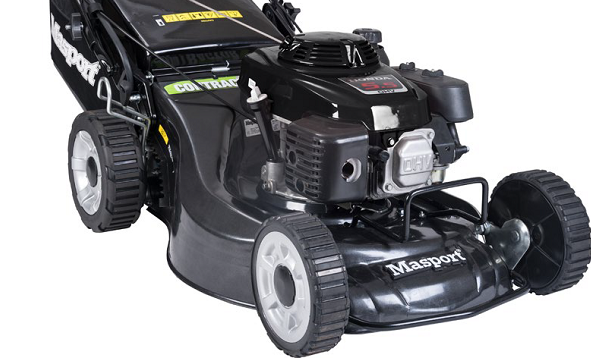 Backed by a comprehensive warranty and extensive specialist network, the Masport Professional Mower range provides tough, reliable and highly durable mowing platforms that are a cut above the rest.